When using stolen credit card numbers to make purchases online, criminals do not provide their own identity or location information. Instead, criminals post advertisements on job search Web sites in order to lure “pack mules” to act as intermediaries in their criminal operations. These intermediaries receive merchandise on the criminal’s behalf and re-ship it to a location under the control of the criminals. This operation is known as “re-shipping fraud” and is similar to the ways in which some criminals recruit “money mules” to open bank accounts for transferring stolen funds. Re-shipping is tightly intertwined with malware activity. This is demonstrated by the fact that the Web sites used to recruit pack mules are hosted on the same servers that host the command-and-control servers of Zeus botnets. I have been exploring (see Clustering Zeus Command and Control Servers Part 1 and Part 2) clusters of Zeus activity in an attempt to better understand the connections among the criminals behind different functions within the botnet ecosystem. I have found that although Zeus is a popular malware toolkit that any aspiring criminal can use to setup a botnet capable of stealing credit card and banking information, there is a cluster of malicious Zeus servers which indicate that there is a “core” of Zeus operations. In this blog post, I analyze the pack mule recruiting Web site, “Sullivan and Myers,” (sullivanmyers.com) and explore its links with Zeus botnets and the broader malware underground. This investigation indicates that these concentrations of malicious activities go beyond operating command-and-control servers and extracting banking information to other aspects of the criminal enterprise. This includes exploitation (through “exploit packs“) and the recruiting of pack and money mules. In order to recruit pack mules, criminals setup Web sites that purport to belong to a legitimate shipping and receiving business, and post advertisements that link to the “business” on job search Web sites and forums. This can be seen in the case of Sullivan and Myers, a fake business created for the purpose of recruiting pack mules. Sullivan and Myer’s job posting invites interested applicants to complete an online application form and submit a resume to hr@sullivanmyers.com. 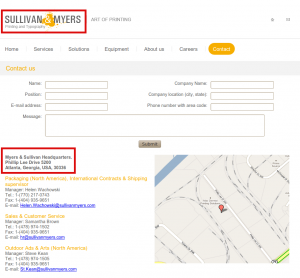 Sullivan and Myer’s contact information (address, phone, and fax number) is also supplied. The application form, contact information, and the company’s Web site appear to have been designed to create a sense of legitimacy. Although there are some indicators that suggest the company may be fake, such as awkward language and occasional errors (using “Myers & Sullivan” instead of “Sullivan and Myers”), the overall presentation is passable. To some applicants, the company may appear to be legitimate. After submitting a resume, applicants are given additional information about the position. The applicants are informed that they will be receiving packages which they are to re-package and send to the company’s “consumers.” The applicants are told that they can earn up to USD3000 per month. 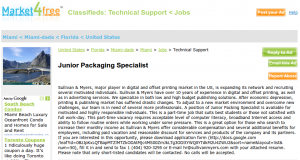 about Junior Packing Specialist position. though those who work up to 20hr/week have best results in the company. least 10hrs to be dedicated to this job. trial period, will go up to $1900 per month, plus $45 per parcel you forward. You may ask for additional hours after trial period, or proceed full-time. managers will send you all required paperwork. Next, applicants are sent a contract and are then instructed to send copies of identification and proof of residency for a background check to minimize fraud. This is an important step because if, at a later point, the applicant determines that the company is not legitimate and wants to quit, the criminals behind this operation could attempt identity theft or otherwise compromise the individual. 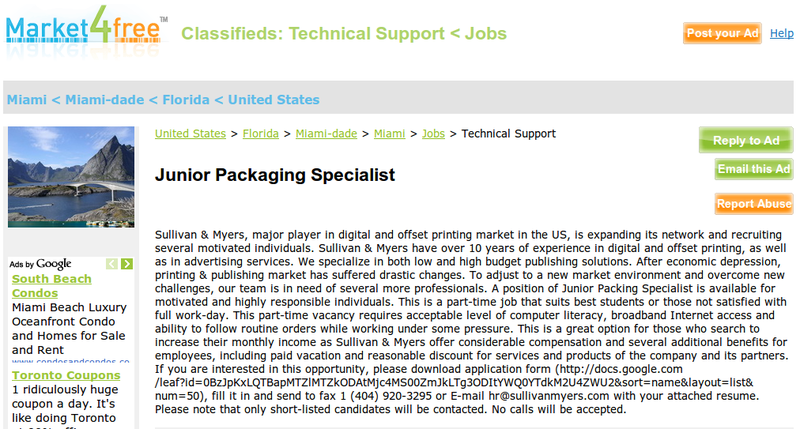 contract for Junior Packing Specialist position in Sullivan & Myers. 1. Print out two (2) copies of the labor contract. plus at the end of the document. 4. Keep one signed copy for yourself. in personal presence of both parties. same e-mail or fax it to 1-(678)-866-2530.
be examined and verified by our attorneys. After receiving the signed contract, the criminals confirm the mailing address of the new “employee.” At this point, the new employee will begin receiving packages of goods bought with stolen credit card information and forwarding these goods to the criminals behind the operation. When law enforcement tracks down the operation, they will be led to the address of the pack mule rather than the masterminds behind the operation. 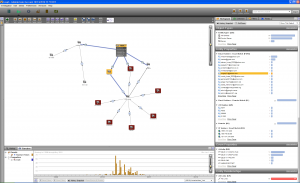 Locating Sullivan and Myers within the malware ecosystem exposes the criminal connections of those behind the re-shipping fraud operation. The Web site sullivanmyers.com is registered to the e-mail address migray71@yahoo.com and resolves to the IP address 194.28.112.11. 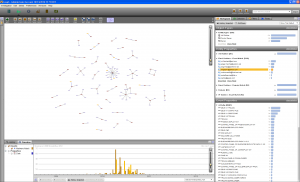 Migray71@yahoo.com is linked to significant malicious activity. 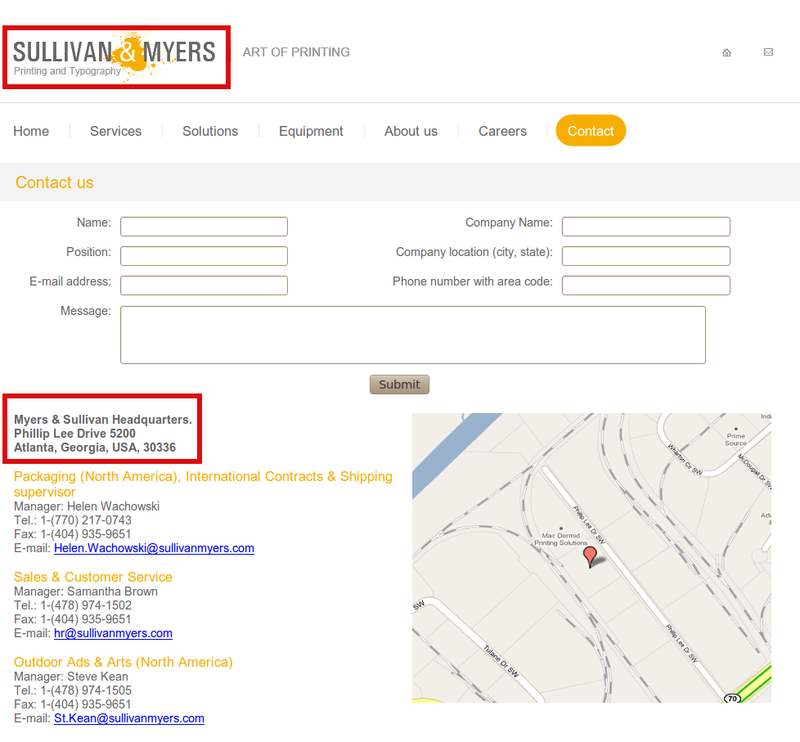 The hosting history of sullivanmyers.com firmly places the domain within concentrations of malicious activity. Currently, the Web site is hosted on a server with the IP address 194.28.112.11. This server also hosts azkinternational.com (azkint@bronzemail.net), fotosharedownloads.com (hosting@haiau.tv) and fotoshare-dknc.com. Fotosharedownloads.com and fotoshare-dknc.com are Web sites that host malware, and azkinternational.com appears to be another pack mule recruiting Web site. Sullivanmyers.com has been hosted on a number of servers that have hosted significant amounts of malicious activity in the last year. Currently, these servers are hosting domain names registered to known malicious e-mail addresses. The domain names listed above resolve to IP addresses of servers that were previously used to host sullivanmyers.com. While some of the domain names have already been linked to malicious activity, some have not. However, they are associated with e-mail addresses that have been used to register malicious domain names in the past. Using data from MalwareDomainList and ZeusTracker, we can see the extent to which domain names registered by migray71@yahoo.com are engaged in malicious behavior and linked through co-hosting to other malicious domain names. These malicious domain names have been active throughout 2010 and have been used to host exploit packs, such as Pheonix and Eleonore; downloaders, such as Oficla/Sasfis, Fake Antivirus, the RussKill DDoS tool and multiple versions of the Zeus Trojan; and associated drop zones and command-and-control servers. This e-mail address was also used to register sosanni.com, a command-and-control server for the Ambler botnet. The most interesting connection within this cluster links the activity of domain names registered with migray71@yahoo.com to the Ambler botnet and to a cluster of malicious Zeus activity. The domain name sosanni.com (migray71@yahoo.com – 121.101.216.205) was an Ambler command-and-control server that was operated by the same set of actors that administered a cluster of Zeus command-and-control servers registered with a variety of well- known e-mail addresses, including hilarykneber@yahoo.com, edgar.marcha@verizon.net, and MillieDiaz4@aol.com. The hilarykneber@yahoo.com e-mail address was made infamous after Netwitness revealed the existence of a Zeus-based botnet associated with that email address that had compromised over 74,000 computers around the world. An association with the Kneber botnet indicates that those behind the operation have no shortage of stolen credit card numbers that could be used to make purchases that are re-shipped through the pack mule operation. 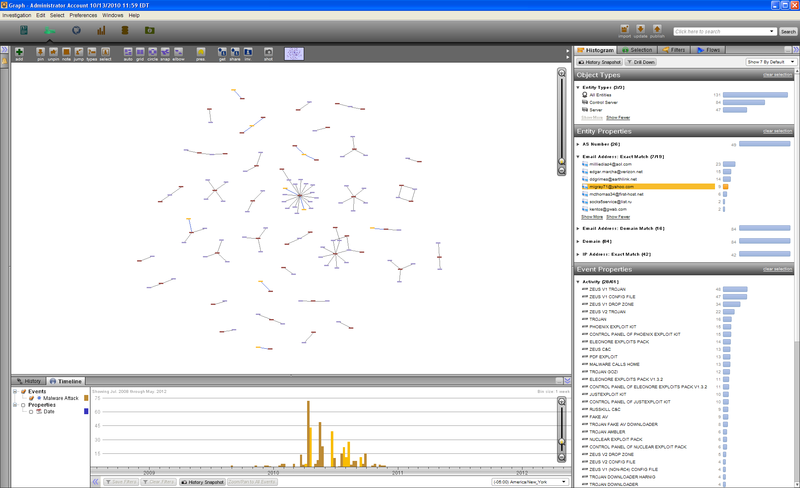 Moreover, this cluster was found to be not only operating a Zeus botnet, but a SpyEye and the Ambler botnet as well. This indicates that the criminals are diversifying their operations using multiple forms of malware that are designed to steal credit card numbers, bank account information, and other credentials. However, there are some limitations to this analysis. Just because domain names are hosted on the same server, it does not mean that there is necessarily a direct connection between them. There are a variety of “bullet proof” Web hosting companies that provide stable hosting to a wide variety of malicious activity. Online criminal prefer these services because the “bullet proof” hosts ensure that malicious Web sites remain online despite efforts of the security community to take them down. Domain names registered with the same e-mail address provides a stronger link because this indicates that the domain names are under the control of one entity. However, domain names registered to the same e-mail address may not be directly linked. There are a variety of services available within the malware underground that include domain registration. For example, the domain name southdomens.com (southdomens@googlemail.com) is hosted on a server that sullivanmyers.com was formerly hosted on. The server is also associated with a service that provides domain name registration. If domain registration services register domain names for multiple clients with the same e-mail address, it provides a weak (rather than strong) link between malicious activity clustered around domain names registered with the same e-mail address. Domain names registered with the same e-mail address may be distributed by the supplier to an array of disparate criminals. So, rather than indicating a strong connection between the malicious actors using the domain names, it simply shows that disparate malicious actors sought the services of the same domain name provider. Keeping these limitations in mind, I believe that while there are specialized roles within the malware ecosystem, there appears to be a significant portion that is quite centralized. In this case, domain names registered with the same e-mail addresses not only inhabit servers full of malicious activity, but are also associated with “pack mule” recruitment, exploit packs, and Zeus and Ambler command-and-control servers. 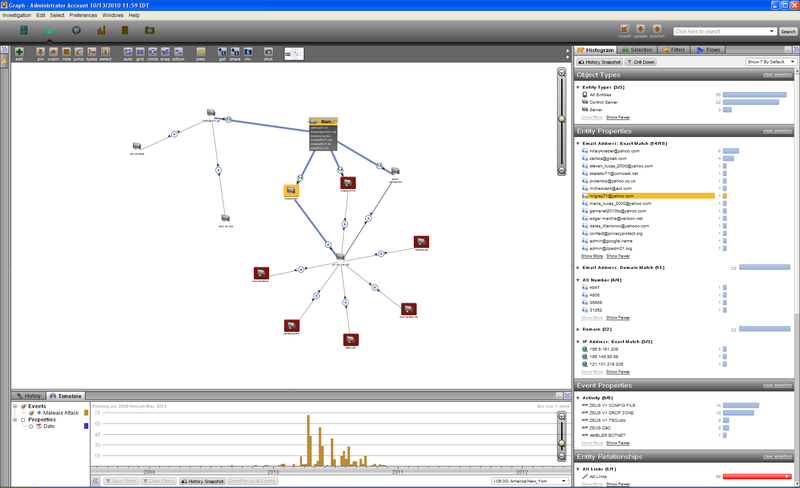 While the exact nature of the connections between them are unclear, these concentrations indicate that a discrete set of criminals are behind an operation that goes full circle—from exploiting victims, to harvesting credentials to acquire goods which are relayed through a network of pack mules back to the criminals.